Here is a link to a fascinating and challenging white paper on children's ministry from Doug Paul's community, Eikon. 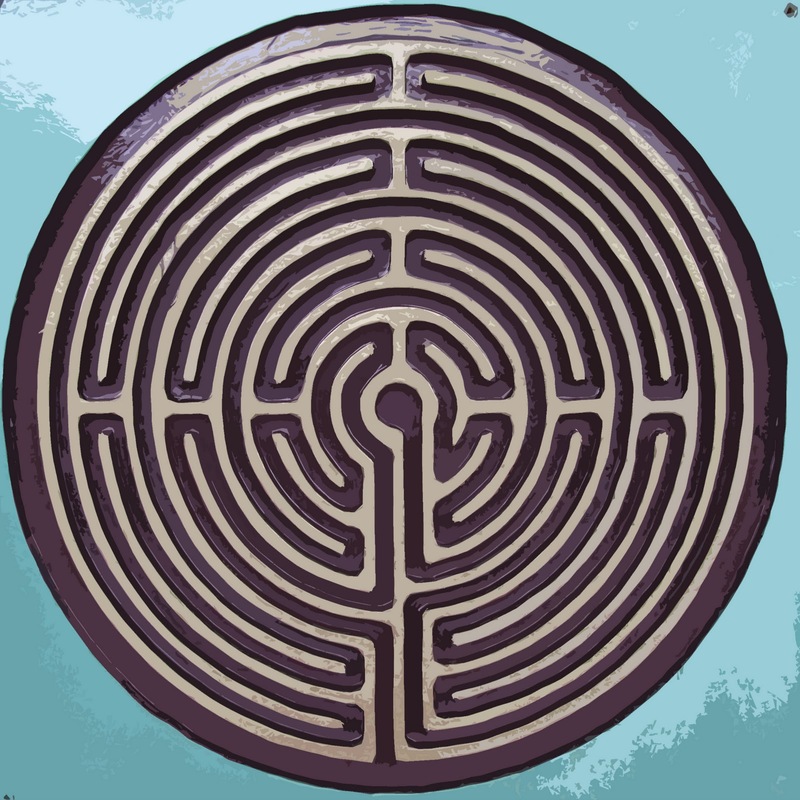 The labyrinth is an ancient Christian symbol of Christ’s leading us towards the goal or vision he has placed in our hearts. At times, we appear to get close, only to be led away again; at times, following means being obedient even when it doesn’t appear to make sense. 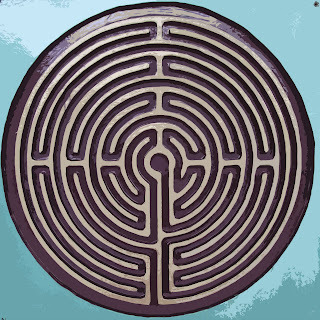 Unlike a maze, there are no dead ends – the path leads to its goal, though the route is indirect. I led a group of people in this prayerful exercise yesterday. One of them fed back to the group that she hadn’t been able to trace the path, despite trying a number of times. At first glance, she had seen Jesus’ bowed head in the circle at the labyrinth’s heart; his arms, outstretched on the cross, also in its design...and, unable to proceed, was struck that the path to resurrection life must always lead first to the cross, and the death of the very goal or vision Christ has placed in our hearts. It was a profound and beautiful moment. That is God accepts me because, and only because, Christ has joined himself to me in a covenant, has declared before heaven and earth that he has taken my sinful identity into himself (and has borne the full consequences) and given me right to his righteous identity in exchange. 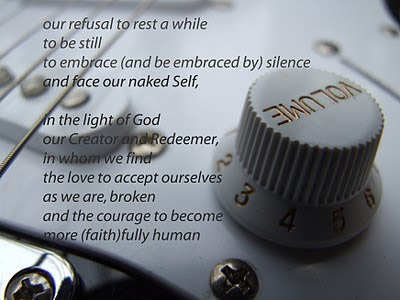 Therefore (because God does not accept me as I am) I have no right to insist that my church community accepts me ‘just as I am,’ regardless of how far I fall short of Christlikeness, regardless of the extent to which I am still living out my old identity. That is not the basis of inclusion. I must desire transformation from the state that never was acceptable to God into the likeness of the One who is; or else I have no love for Him, no love for his brothers and sisters. And therefore (because God accepts me as Jesus is) I have no right to sever ties with another member of my church community on the grounds of their falling short of Christlikeness. That is not the basis for exclusion. I do not mean by this that the church has no urgent imperative to discipline those members who refuse to repent of wilful separation from Christ and his own, whose actions cut themselves off from the body; but rather to insist that we are one body, not so many individuals – “though we are many, we are one body, because we all share in one bread” – and so cannot sever ourselves from another member lightly, petulantly. The church does not exist to meet my perceived needs – including my need to be accepted as I am – but as the instrument of my transformation; to shape me; in order that I might become more Christ-like. The church is the crowd who welcome my entry with celebration, and the crowd who call for my death soon after; the soldiers who flay and crucify me; the tomb which receives my body; the women who come bearing spices to embalm me; the morning that witnesses my rising [one] with Christ; the disciples that bear witness to God’s new creation. I spoke on the small record of the prophet Haggai on Sunday. As I had allowed the text to invite and to challenge me to share God’s heart, one phrase really got under my skin. At one point, God says that he shakes the earth in order that “the desired of all nations will come” and his house be filled with glory. The desired of all nations. In the context of the original hearers, the nations were those who lived around God’s people, who were in many ways indistinguishable from them, but who had a different set of values, of cultural practices, and a significantly different religious worldview. Our context is being shaken, and, I suspect, will experience far greater socio-economic shaking before we see anything like a return to some sense of stability. And in this shaking context, we are seeing people come into God’s house here in Clubmoor. In particular, we are seeing those who are in various stages of recovery from various addictions, including some with significant mental health issues. Also a smaller group of young adults with no church background to inform their values and behaviour. They are the desired of God. And we are invited by God to see them as desirable too. 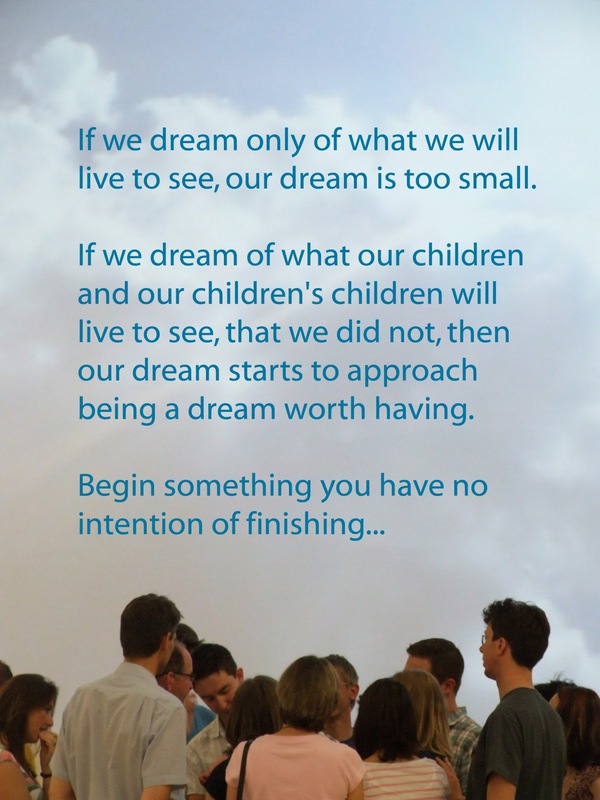 To want to welcome them into our corporate life, to include them, to see them grow and serve and to learn from them – we have so much to learn about accountability and about invitation and challenge, about love and discipline as the keys to freedom, from the recovery community. But as well as being invited to share God’s desire, we are challenged where we see those God has called ‘desired’ as ‘undesirable’ elements within our midst because they are ‘not like us.’ And we are challenged to include them in practice when that is hard, not just in principle. This phrase got under my skin. Not only that I should see those God calls ‘desired’ as desired, not undesirable; but also that I should expect the desired to come. You see, if God says that the desired of all nations will come, then that means that there are people as yet at a distance who are open to God. And yet, I think that we – I know that I – have accepted as true the secular mantra that people do not want to know about God, let alone know God. Why should I speak of God – people aren’t interested; they don’t want to know? I think that friends of mine in Sheffield are right to identify this as a stronghold – an ungodly belief that needs to be aggressively dismantled through prayer (2 Corinthians 10:4-5). In any given time of shaking, we should expect to see the desired come in: that is a primary purpose of the shaking (another – Hebrews 12:25-29 – is that whatever is not of God within us should not stand, leaving what is of God and therefore unshakeable). ‘Now’ might not be everyone’s time, but if we go out into the harvest fields under the assumption that no one is open...we don’t share God’s perspective. How do you respond to the invitation to see those different to you as desired by God? Do you need to repent of the belief that the desired are undesirable, and believe with God that they are desirable? How do you respond to the challenge of loving the unlovely? How do you respond to the invitation to see those at a distance from God’s house as including many who are open to him? Do you need to repent of the belief that people are not open to God, and believe with God that we live in a time of openness towards him? How do you respond to the challenge of telling those around us that God desires them? Do you recognise yourself as desired by God? Do you need to accept the invitation to be drawn into God’s desire? Do you need to face the challenge of acting on that invitation today? At St Andrew’s this autumn, we will be exploring the last twelve books of the Old Testament, often referred to as the Minor Prophets (minor in length, not significance). These Prophetic Voices reveal different facets of God’s character, which we are invited and challenged to share. One of the things we would like to do is to offer a creative response to each facet, including something physical we can take away as a reminder which helps to bring what we consider on Sunday into our Monday-Saturday. Steve Taylor calls such things ‘spiritual souvenirs’ – things that not only keep a memory alive but sustain the hope of return or even relocation to that place. For Amsterdam or Tenerife, substitute Justice or Mercy – where ‘return’ is to further explore the theme, and ‘relocation’ is to live it out in our daily lives where we are: say to live justly at a personal and corporate level, as if we lived in a just world...and in this way, to make the world more just. Such souvenirs carry the word we have heard God speak to our hearts out into the world, so that others might hear too. On October 31, we will be looking at Joel, and our souvenirs will be origami grasshoppers. Why am I trailing this now? Most of the people who visit my blog are not members of St Andrew’s, and so it doesn’t matter. But there are a few members of St Andrew’s who follow along, and I would really like there to be, seeded through the congregation, a handful of people who understand what we are trying to do, and who can take a lead in helping others join in. The harvest has been devoured by a swarm of locusts of...well, biblical proportions. Joel calls on the devastated and disoriented community to return to God, and to call on him, for he longs to not only restore what has been lost but – in the very context of disaster – to go further in pouring out blessing. On a square of paper, write down those things you identify as having been devoured – hopes, dreams, necessities of life (think of the economy). As you make/having made your locust, bring these things to God in prayer, confessing our own part in having forgotten him in the day-to-day going about our lives, and asking him to restore what has been lost...and for his Spirit to be outpoured on the community. Take your grasshopper with you when you go. Place it somewhere where it will regularly prompt you to continue to pray until you see an answer to your prayers. If you are feeling brave, place it somewhere where others will see it, inviting comment and the possibility of a conversation where you explain what it symbolises and why it is there. Origami paper from a craft shop is best – square, finer than trimmed-down copier paper, often white on one side and coloured on the other. at a national or an international level. If you are feeling adventurous, you might like to try a more advanced origami grasshopper – don’t attempt this in a corporate setting, as complexity will work against the desired impact. For God so loved the world that he sent his only begotten Son, that whoever believes in him should not perish but should have eternal life. I have bad news, and good news. The bad news is this: if there is any area of your life where you have not believed in Jesus - the name means "God saves!" - then in that area of your life, you are perishing. If you have not received the salvation - the saving, rescuing action - of God in Jesus in your life as a whole, then you are perishing. Right now. Even the good things in your life are perishing. If you believe that Jesus is the Saviour of the world, but he is not Saviour of your finances, then that aspect of your life is perishing. Somehow, however hard you try (however hard you try to save yourself) there is never enough, never quite as much as you feel there ought to be. The gospel declares, quite unashamedly, that there is bad news. But it also declares, quite unashamedly, that there is good news. The good news is this: if there is any area of your life where you have believed in Jesus - as the one through whom God saves - then in that area of your life, you are moving from death into life in its fullness. If you have received the salvation - the saving, rescuing action - of God in Jesus in your life as a whole, then you have eternal life within you. Right now. Even the bad things in your life are moving from death to life that cannot be taken from us. If you believe that Jesus is Saviour of your finances, then that aspect of your life is moving from death to life. Even in a global recession, even laid off work, even when there is no money coming in, you will learn that God is a faithful provider. If you believe that Jesus is Saviour of your relationships, then that aspect of your life is moving from death to life. Even though relationships are hard, even though we hurt and are hurt, you will learn that God forgives us and empowers us to forgive; that love grows in our hearts when before it withered. So, where do you recognise your need for salvation today? Stop trying to save yourself (that is, repent) and accept the salvation God has provided in Jesus (that is, believe). Don't put it off. 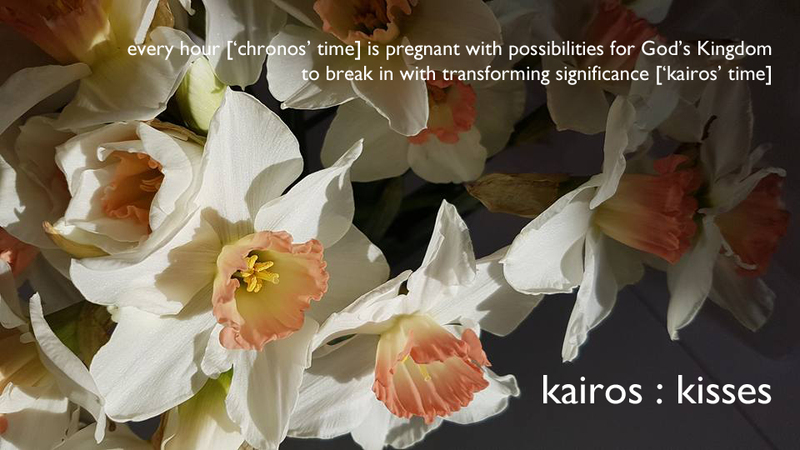 Now (chronos) is the (kairos) time.